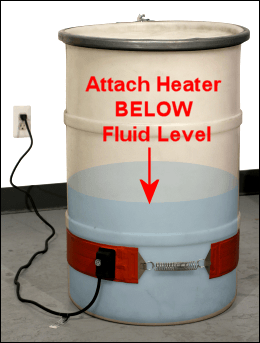 5-Gallon Pail / Bucket Heaters. Plastic Drum Heaters - Barrel heaters. 4" (10.2 cm) wide drum heater band! Flexible drum band heaters for your steel drum, or fiber and plastic barrel heaters. 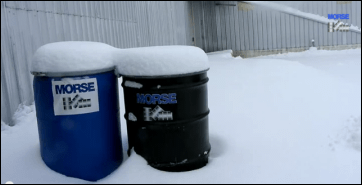 Select the correct drum heater for your drum: 55-gallon (210 liter) drum heater, 30-gallon (114 liter) drum heater, 15-gallon (57 liter) drum heater, or a 5-Gallon (19 liter) pail heater for your plastic pail, metal can or bucket. Morse drum heaters conduct heat through the drum wall to the product inside. Adjust the thermostat to automatically maintain the correct temperature. 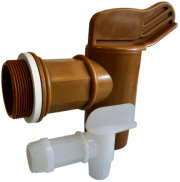 We have barrel heaters for various sizes, from a 5-gallon pail (19 liter pail) up to a 55-gallon drum (210 liter drum). Drum band heaters for metal drums can operate at higher temperatures and therefore, work faster. We also have more gentle drum band heaters for your plastic and fiber drums. Keep products warm and fluid with a Morse Drum Heater. Just wrap the correct heater around your drum, set the thermostat, and it will warm to your required temperature, and maintain it there. Easy to use, flexible drum heaters provide a simple, effective and reliable way to heat the contents of your drums. We have a drum band heater for your steel, plastic or fiber drum. We even have 5-gallon pail heaters / bucket warmers. Thermostats on drum heaters allow you to raise the temperature of the product in your drum, then maintain that temperature +/-10 degrees F.
Heaters for plastic and fiber drums have a 50 to 160 F (10 to 71 C) thermostat. Morse electric drum heaters provide more heating power over a larger surface area than other drum heaters on the market. Morse oil drum heaters are made of flexible, tough wide fiberglass reinforced silicone rubber which conforms to the curvature of the drum. 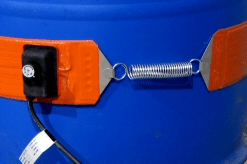 Simply wrap the drum heater around your drum, attach the spring and hook arrangement, then plug the drum heater in. Ensure the drum heater is properly positioned below the content level of the drum. The band heater provides uniform heat. Two or more drum heaters may be used on the same drum for faster warming. Typical Applications for electric drum heaters and pail heaters are chemicals, oils, greases, fats, molasses, adhesives, plastics, mastics, resins, syrups, and a variety of liquid food products. Always clamp the band heater around your drum prior to switching it on. 115V band heaters are equipped with six foot cord and plug. 230V band heaters have a six foot cord. Customer supplies plug. A built-in metal screen is grounded electrically for safety. 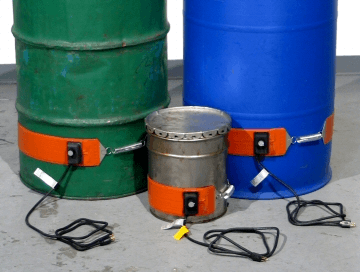 Morse electric drum heaters and pail heaters are NOT for use with "flammables"
It is the user's responsibility to ensure drum heaters are in full contact with the drum completely BELOW the level of liquid in the container. Failure to do so can irreparably damage the drum heater. (10 to 218 C) 22.5" +/- 1"
(57.2 cm +/- 2.54 cm) 4 Lb. (1.8 kg) L11" W11" H9"
(10 to 218 C) 18.25" +/- 1"
(46.4 cm +/1 2.54 cm) 3 Lb. (1.4 kg) L9" W9" H5"
(10 to 218 C) 14" +/- 1"
(35.6 cm +/- 2.54 cm) 3 Lb. (1.4 kg) L11" W11" H9"
(10 to 71 C ) 22.5" +/- 1"
(57.2 cm +/- 2.54 cm) 3 Lb. (10 to 71 C ) 18.25" +/- 1"
(10 to 71 C ) 14" +/- 1"
( 10 to 218 C ) 11.25" +/- 1"
(28.6 cm +/- 2.54 cm) 2 Lb. (1 kg) L9" W9" H5"
( 10 to 71 C ) 11.25" +/- 1"
Electric Drum Heaters and Pail Heaters. Heat your steel drum contents quicker with a 1500 watt 4" wide band heater! Flexible drum band heaters for your steel, fiber or plastic drum. 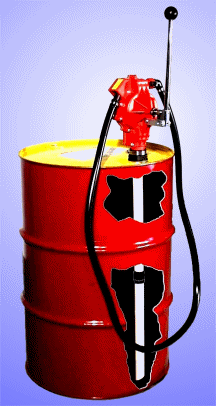 5-gallon pail heaters for plastic pails or metal cans.